Welcome party people! Today has been one busy day! I’m guest posting over at Just a Girl’s place sharing my Ten Blogger Commandments. Hop on over and visit me when you get the chance. I am also giving away a $100 gift card to Lowes that you’ll definitely want in on! Click here to enter and to see the updates I made in my kitchen! And in case you missed it, here are the amazing features from last week’s party. I’m anxious to see what all of you have been up to! Please read the rules before linking up. Thanks for the party Beth! Have a great week!!! No projects for me this week 🙁 Just big messes. I love the globe light. Pretty cool. Thanks for hosting Beth! On my way over to Just a Girl to see what your commandments are! Thanks for the party Beth! And I LOVED your guest post! I’ll be sure to hop on over to check out your post! Thank you for hosting! Thank you, Beth!! Headed over to check out your tips! 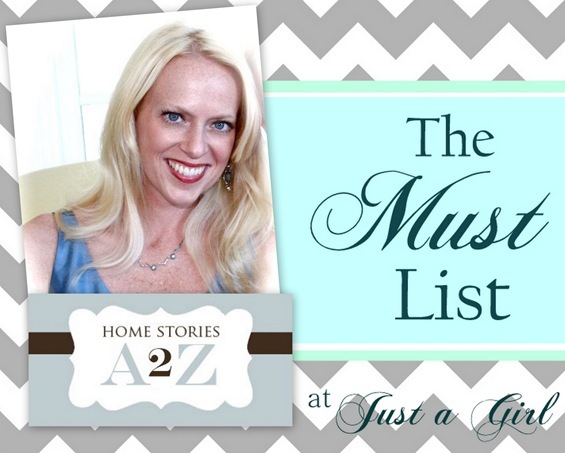 Thank you so much for hosting- on my way to check out your “Must Haves”! Blogger commandments -sounds like a must read to me! Thanks so much for hosting! Thanks so much for hosting us Beth! I can’t wait to go read your Blogger Commandments. 🙂 Hope you have a fantastic week! Thanks beautiful lady!!! Always a fun party and I’m thrilled to link up! You’re a tad biased sis :). Another great party – thanks! Thanks so much for hosting again Beth! Your guest post today over at Chris’ site was simply amazing!! Thank you for hosting, Beth! I read your Must List earlier and thought it was spot-on. Have a great week!